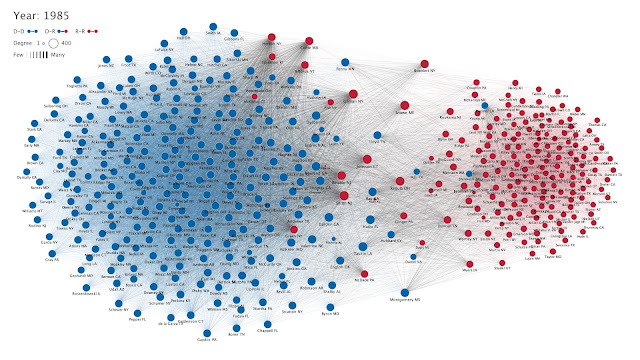 Each member of the U.S. House of Representatives from 1949 - 2012 is drawn as a single node. Republican (R) representatives are in red and Democrat (D) representatives are in blue... Edges between nodes are drawn if each member agrees with another member more often than the "threshold value" of votes specific to that particular Congress... Each node is made bigger or smaller based on the number of connections it has. Edges are thicker if the pair agrees on more votes. 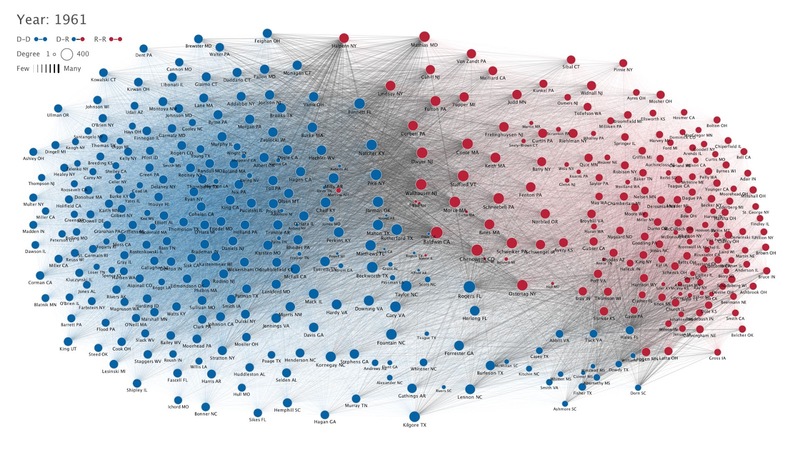 The starting year of each 2-year Congress is written above the network. 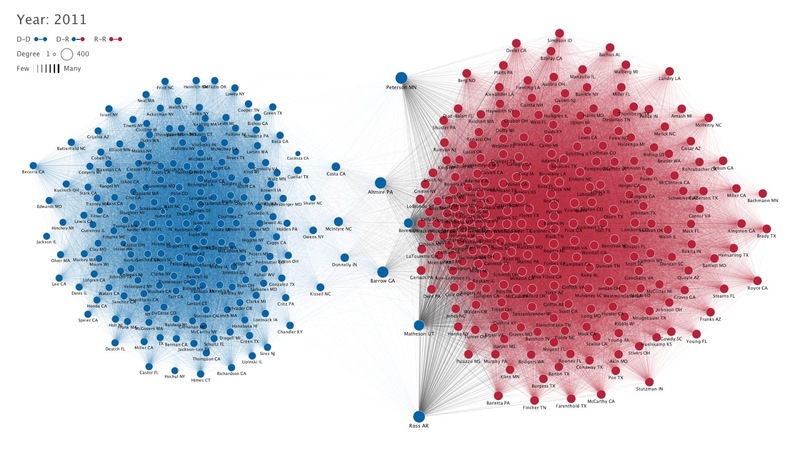 The network is drawn using a linear-attraction linear-repulsion model with Barnes Hut optimization. 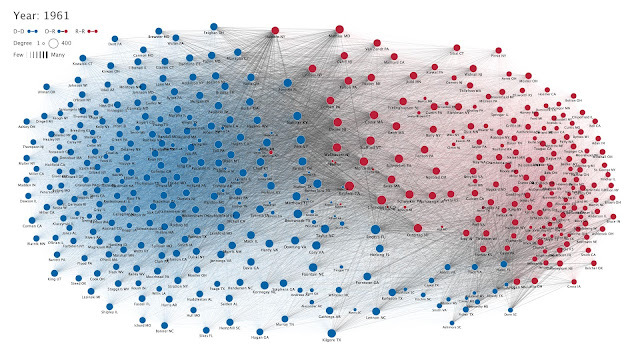 Thirty-two networks are available, for every Congress from 1949 to the present. I blame Newt Gingrich and his "Contract on America". The original district he was elected from would not re-elect him because he filed from divorce from his much older second wife when she was recovering from cancer surgery. He moved on to a redistricted Atlanta district that was very transient but Republican.